CENTRAL Coast Leagues has undergone some major changes over the past few months. From the colours scheme to the style and comfort of the furniture to the warm fireplace, every detail has been considered in order to deliver a freshly updated and contemporary entertainment venue on the coast. But for the Club, it isn't just about the appearance - it is also about the experience. In speaking with Peter Blacker, CEO of CCLC, we asked him to share his personal vision for the future of the Club. "The club aspires to be recognised as the 'Heart of the Coast' and in particular, Gosford," Blacker said. "We have adopted this mantra, not just because of our size and proximity to the city, but because of who we are and what we represent." In further explanation, Peter said, "As the 'Heart of the Coast', whether you are a local, a visitor or a business, we promise to provide you with a safe, friendly and exciting environment. We look forward to welcoming you, with the same high-level of service, over and over again." 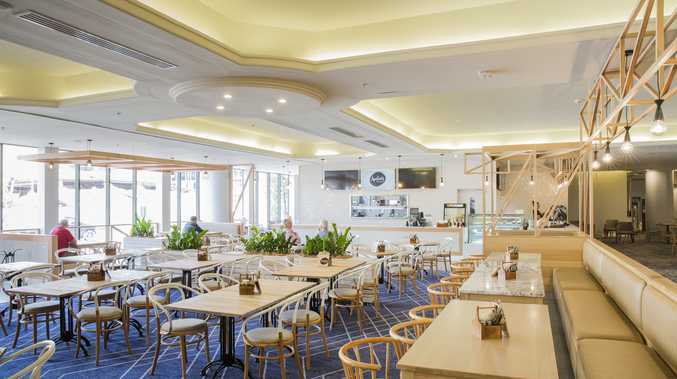 Central Coast Leagues Club was formed in 1954 and throughout its 63 years, the club has become almost an institution, a recognised landmark and meeting place for the community of Gosford and the Coast. CCLC is about to embark on its next chapter, and in celebration of this momentous occasion, they will host a "Week of Celebration" from November 6 - 11, incorporating Melbourne Cup festivities, wine and beer tastings, family footy day with the Mariners and thousands of dollars' worth of prizes and major giveaways to be won.